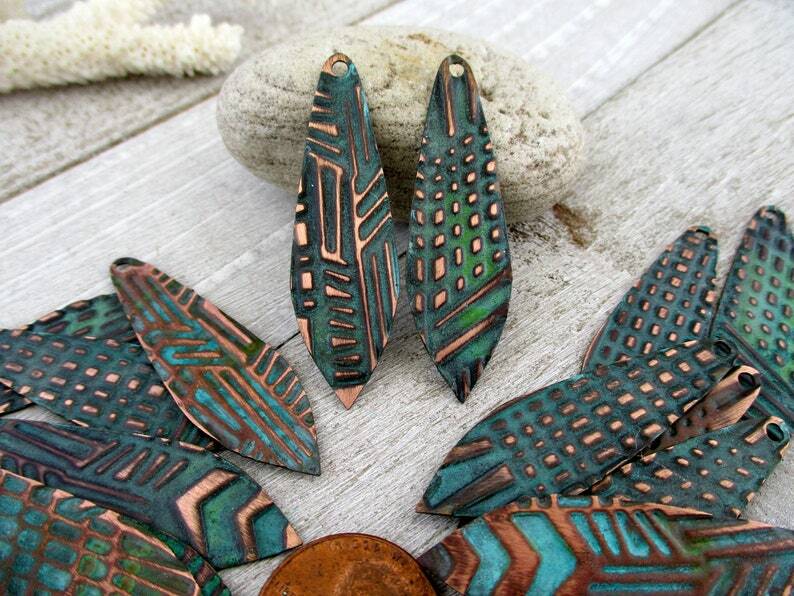 Embossed 24 gauge copper, verdigris patina with copper highlights. There is a 2mm hole at the top. You get 2. Very limited supply of these small batch handmade charms.